Mitsubishi Motors Corporation, (MMC), and the 2012 Mitsubishi i – the all-new North American relative to the i-MiEV, Australia’s first volume-produced, fully electric vehicle – have taken top spot on the coveted American Council for an Energy-Efficient Economy (ACEEE) 14th annual “Greenest Vehicles” list, a comprehensive environmental ranking for production vehicles. The 2012 Mitsubishi i scored a 58 in the ACEEE’s ranking system – the highest Green Score ever achieved since the ACEEE “Greenest Vehicles” rankings began in 1998. “Even taking into account the emissions generated from the electricity used to power the Mitsubishi i-MiEV, it still handily outscores other vehicles on the market today,” said ACEEE lead vehicle analyst, Shruti Vaidyanathan. According to the ACEEE, the cars that make up their “Greenest Vehicles” list are evaluated on a variety of criteria including tailpipe emissions, fuel consumption, and gas emissions that “contribute to climate change.” Additionally, starting with this year’s awards, the ACEEE made a number of changes to its vehicle evaluation methodology to more accurately estimate vehicles’ environmental impacts including improving emissions estimates in the vehicle manufacturing process as well as in the extraction of natural gas. The “Greenest Vehicles” and “Greener Choices” lists appear in the ACEEE’sGreen Book® Online. The Green Book® Online, according to the ACEEE, is an “annual ranking that highlights the environmental friendliness of vehicles in the United States.” Only the 12 highest-ranked vehicles by the ACEEE make it onto the organisation’s “Greenest Vehicles” list. The 2012 Mitsubishi i is the most affordably-priced mass-produced electric vehicle (EV) available in the United States and is the first of several new advanced, alternative-fuel production vehicles that MMC plans on bringing to the global market in the next few years. For more information on the methodology used by the ACEEE to determine its vehicle rankings, please visit the ACEEE websites at aceee.org andgreenercars.org. For additional material on the 2012 Mitsubishi i electric vehicle, please log on to i.mitsubishicars.com and media.mitsubishicars.com. Tokyo, February 9, 2012 — Mitsubishi Motors Corporation (MMC) will present the global débutof the all-new Outlander at the 82nd Geneva International Motor Show – which runs from 6 March through to 18 March 2012*. The new-generationOutlander was built to be eco-friendly and it accomplishes this with fuel efficiency and CO2 emission levels that are among the best in its class. Also on display on the Mitsubishi Motors stand in a line up of 13 models (eight on the first Press Day) will be the MiEV House, a model for a near-future “EV (electric vehicle) lifestyle” that maximises household energy usage with the help of an EV, as well as the fast-selling ASX and other models currently on sale in Europe. In addition to its fuel efficiency and CO2 emission levels, other features distinguishing the new Outlander include enhanced levels of safety from the adoption of advanced safety technologies and a user-friendly interior that reflects pure quality. The new Outlander will be launched first in Russia this summer, after which it will be introducedin European, Japanese, Oceania, Chinese and North American markets. During fiscal 2012 Mitsubishi Motors will also be adding to its line up an EV-basedOutlander model which will use a plug-in hybrid system derived from MMC’sexciting EV technology. (1) Outstanding environmental performance with fuel consumption and CO2 emission levels that are among the best in its class. The European-market specification Outlander is offered with a choice of gasoline and diesel engines. Gasoline models are powered by the 4J11 2.0-litre in-line 4-cylinder SOHC MIVEC* engine which employs an all-new valve train. Diesel models use the 4N14 2.2-litre in-line 4-cylinder turbo charged MIVEC engine, with a very low compression ratio of 14.9:1, which meets stringent European diesel emission regulations. The diesel Outlander (2WD drive train, 4N14 engine with 6-speed manual transmission) will provide a superior level of environmental performance, with target CO2 emissions of under 130g2/km*, thanks to MMC’s “Auto Stop&Go” idle-stop system and its lighter body weight from the optimisation of the body structure, the use of high-tensile strength panelling and improved aerodynamics. Furthermore the new Outlander will be equipped with an ‘eco-friendly driving system‘ that notifies the driver when they are driving at maximum efficiency. *1: Mitsubishi Innovative Valve timing Electronic Control system (name for engines fitted with Mitsubishi Motors’ variable valve timing system). *2: Target for European model that is subject to final homologation. Models for other countries may differ according to local homologation. FCM (Forward Collision Mitigation System): Detects obstacles on the road ahead of the car and automatically applies the brakes to prevent a collision. ACC (Adaptive Cruise Control System): Operates to maintain a safe distance between the car in front even at very low speeds experienced in heavy traffic congestion. LDW (Lane Departure Warning System): Functions to warn the driver that their vehicle is about to depart from its lane. • The new Outlander’s interior expresses quality with the use of a glossy black instrument panel, switches decorated with silver accents and soft-touch dashboard trim material. The new Outlander also features easily-operable steering wheel controls together with high-resolution and easy-to-read instrument displays. • The comfortable second- and third-row seats can be easily configured to provide a number of seating patterns and also a long luggage space with a flat floor. • A power-operated tailgate facilitates loading and unloading. Toowong Mitsubishi Brisbane is a leading Mitsubishi and Used Car dealership. our Friendly new and used car and used car sales people are all car enthusiast who are motivated to helping you finding the best deal on your dream new or used car. We regularly have specials on new & demo Mitsubishi’s, as well as weekly specials on our wide range of used cars. 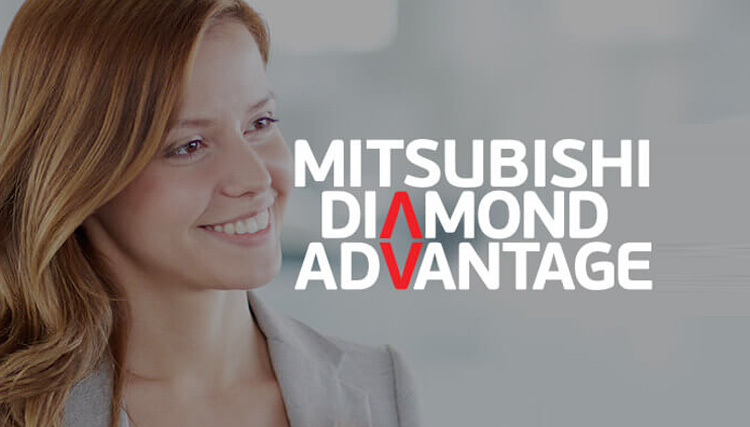 As large Mitsubishi dealership we also offer vehicle finance, insurance, service and parts. Copyright 2017 - Toowong Mitsubishi. All Rights Reserved.